Let Me Be Your Guide to Divorce Advice for Women! I have an incredible story to tell! You’ll be amazed at what you will learn from my eBook. In fact, as I was writing it, I kept thinking “if only I had been given this divorce advice when I was going through my divorce!” what a difference that would have made—the outcome would have been very different! After my 23 year marriage ended with a contentious divorce, I vowed to help other women prepare for divorce and avoid the critical mistakes I made. I decided that I had to do something to help other women prepare for divorce and be aware of what happens during the divorce process, regardless of whether or not a divorce is in the cards for them. When I was going through my divorce I did not have anyone to give me good divorce advice—no one to help me. The amount of divorce advice for women I found from various sources was severely lacking and as a result I made crucial and case—changing mistakes which had disastrous financial consequences. Unfortunately, I was learning as the divorce was progressing. By the time my divorce was over I had gained an incredible amount of knowledge. Unfortunately, it was too late. I suffered dearly for mistakes that could have been avoided if I had only had someone to offer divorce advice and guide me through the process. But I have good news—this won’t happen to you! Why? Because I am going to offer the knowledge to help you prepare for divorce before the window of opportunity slams shut. Knowledge is the key to success! Knowledge is power! IMPORTANT! You may be thinking that you can just figure it all out as you go along. You may believe that you can resolve everything amicably with your husband and that you’ll get your fair share. STOP! That’s what I thought too, and I will spend the rest of my days suffering because of it! There is no such thing as being “too informed,” “too careful,” or “too prepared” when you prepare for divorce! 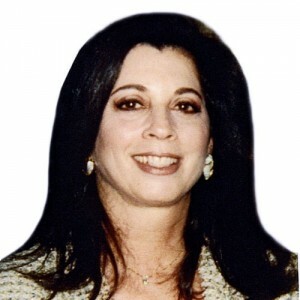 What I am offering you is divorce advice for women based on what I learned from my own divorce and many others. After my divorce was over, I continued to do research and learn about how the system REALLY works. I made it my mission in life to balance the scales and empower women to fight back against a divorce system that favors men. The Divorce Survival Guide for Women is chock-full of divorce advice for women that not only every woman should know—but everyone should know regardless of gender anywhere in the world! Divorce is universal. My eBook has the strategies necessary to prepare for divorce that can mean the difference between financial security and figuring out how to survive. Women should NOT suffer disproportionate consequences from divorce. Divorce is War! A war you MUST fight to preserve your quality of life and ensure your financial security. This eBook is more than just comprehensive divorce advice for women—it is your battle plan! You’ll find an amazing amount of divorce information in my eBook—information that you won’t find anywhere else. 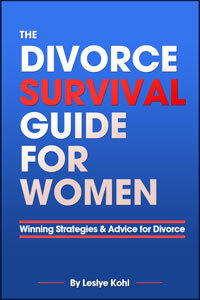 My eBook is THE survival guide that will help you to prepare for divorce and avoid the pitfalls that so many women make in their divorce. Read the FREE preview of my book, and join me on Facebook, follow me on Twitter and link to me on LinkedIn.